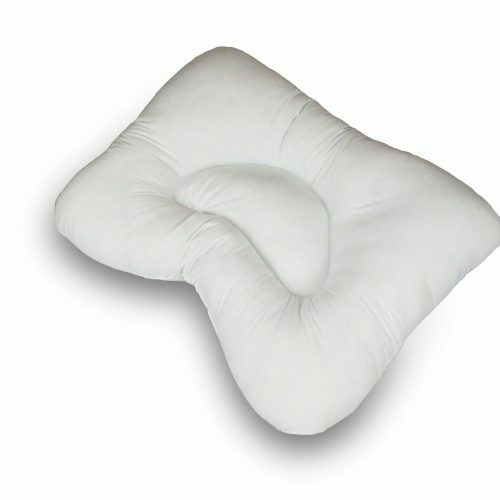 Our Cervical Pillow is specifically designed to provide comfort for those who suffer from neck, shoulders or back ache. 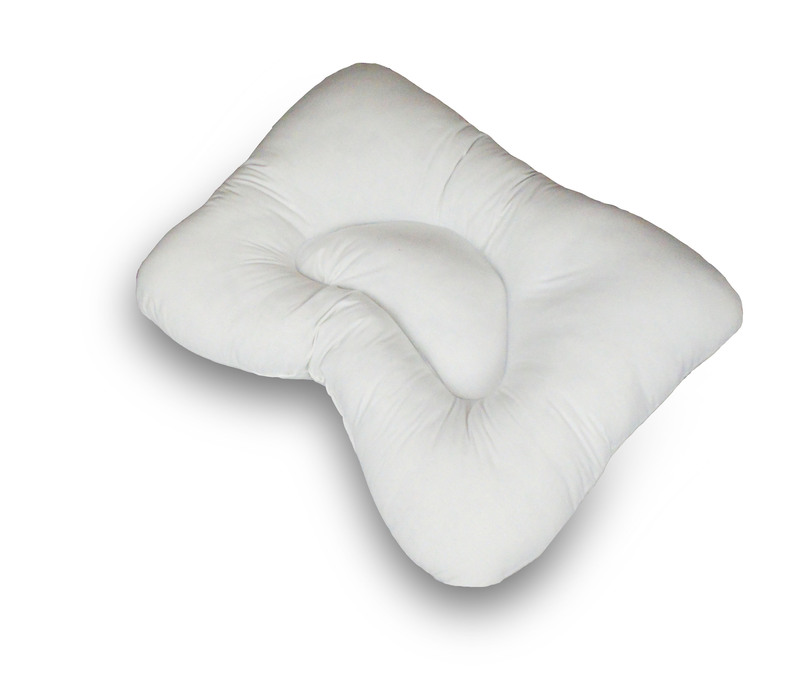 The Cervical pillow has a unique shape which provides its orthopaedic qualities with two lumber rolls on each side of the pillow and a contoured central area which ensures the neck and spine vertebrae maintain a correct alignment which ever sleeping position you prefer. Due to the indentation featured on the base of the pillow your neck is comfortably supported on the back and sides helping to align and correct your neck in correspondence with your back. The pillow helps to align your head and neck correctly to relieve pressure points on vital areas situated on your back, resulting in reducing any pain or aches experienced during the night. By enforcing the correct posture in your back and neck the pillow will also reduce any tension that has built up within the muscles of your shoulders. The pillow has been designed to solve issues concerning your head, neck, shoulders, and back, but we have also kept in mind the need for unbeatable comfort. We have achieved this by sourcing only the best materials and taking note of the ergonomic data connected with these particular areas of your body. The pillow also takes into account the movement that occurs during a night’s sleep so irrelevant of what position you sleep in the pillow shall still provide all these essential specifications. We source the best quality and practical materials for all our products. 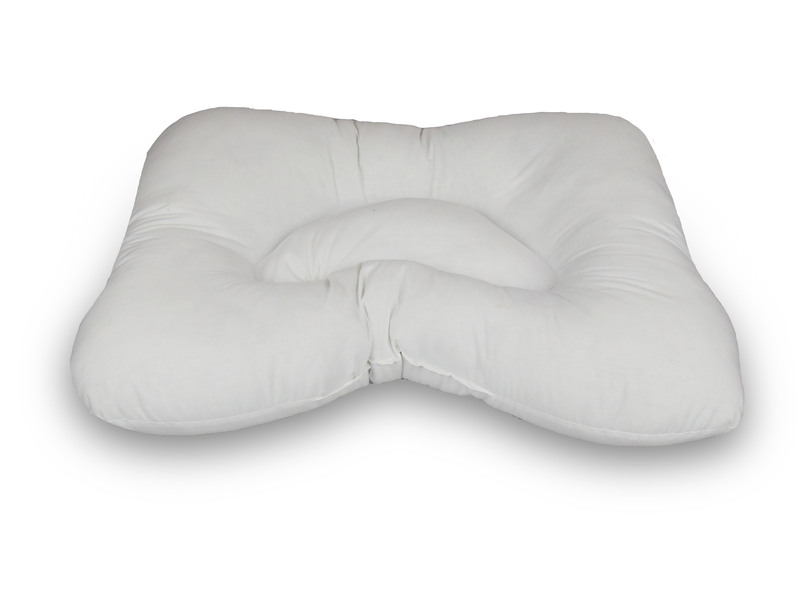 The Cervical Pillow is filled with top quality Polyester Fibre providing the pillow with a luxurious plump body, which is soft to the touch, yet provides the support necessary. The casing of the pillow is made from a 2-Way Stretch Cooling material which is a strong and durable material. 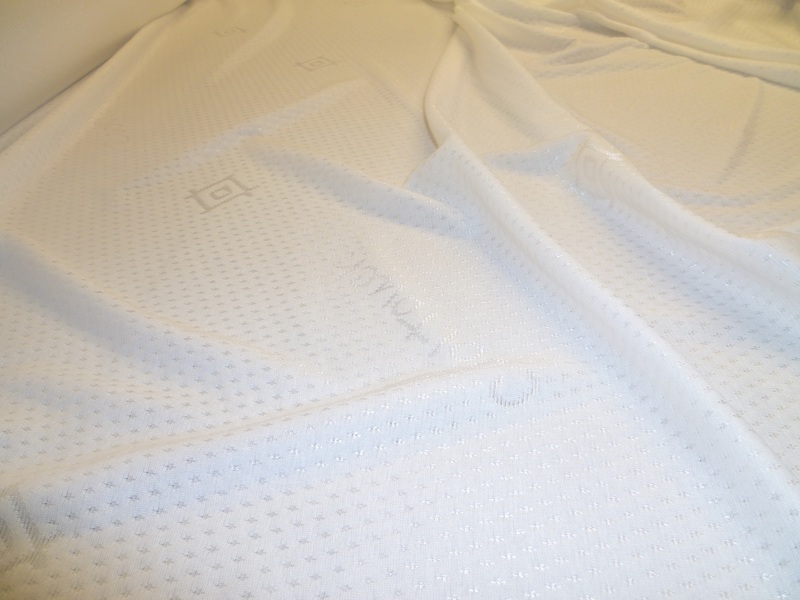 It is breathable, very soft & comfortable and can be easily washed making it the ideal choice for our pillow. The cotton covers & the pillow can be machine washed at 30°. The covers can be tumble dried on a low heat setting, although natural drying methods are advised. We offer two separate payment gateways, these being Barclays ePDQ, & Paypal. Both of these also offer 256 BIT SSL Encryption.